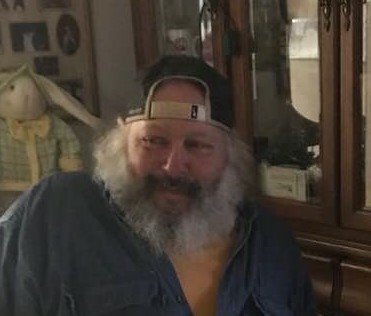 Obituary Notice for Mark Savino | Pepper Funeral Homes & Cremation Facility, Inc.
Mark Savino, 55, of Monroeton, PA, passed away unexpectedly on Monday morning, April 1, 2019 from the Robert Packer Hospital in Sayre following a heart attack. Born in Orange, N.J. on March 29, 1964, Mark was a son of the late Ralph and Margaret (Rango) Savino. Mark was an avid N.Y. Yankee’s fan. He enjoyed his work for over 30 years as a maintenance and all-around handyman for the Twin Pines Motel in Monroeton. In earlier years, Mark was employed at building, tearing down, cleaning, working on and repairing chimneys. He cherished times shared with family and friends, especially his dogs Boomer and Panda. Surviving are a brother and two sisters; Donald (Bella) Savino of Fairbanks, AK, Mary (Joe) Duva and Geraldine (Moe) Elvassiouni all of New Jersey, life-long friends, Anna (James) Masterton of Monroeton, Donna (Ray) LeSoine and their daughter, Ashley all of New Jersey. Maintaining to Mark’s wishes services will be private. The Pepper Funeral Home & Cremation Facility, 578 Springbrook Dr. Canton is assisting the family with arrangements.